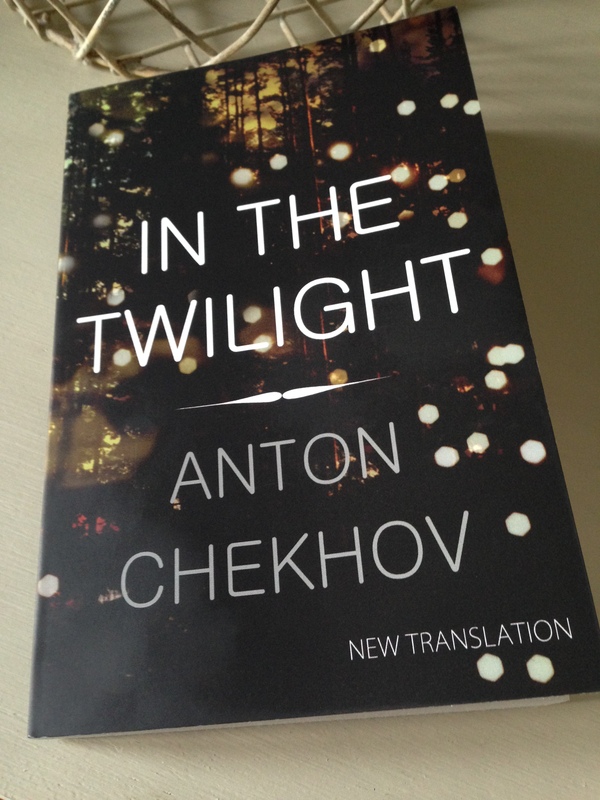 In the Twilight, a collection of sixteen short stories compiled by Chekhov himself, was first published in Russian in 1887. The collection was a major critical and personal success for Chekhov as it marked his transition from the comic sketch writer of his early years to the acclaimed author of impressive short stories. This new edition of In the Twilight (published in the UK by Alma Classics) presents all sixteen stories from the original collection in a fresh translation by Hugh Aplin. This beautiful edition also contains a short introduction and a biography of key events in Chekhov’s life. As with other short story collections I’ve covered here, I’m not going to try to review each tale in turn but to give a sense of the themes and a little of what I thought of this collection as a whole. Many of these stories are set at least in part in the twilight hours or at night, but the title In the Twilight also offers an indication of the tone of this collection. Several of these stories convey a sense of sadness, a melancholy tone, scenes of darkness alongside the light as individuals’ lives turn on the tiniest of moments. After she informs Ivan that their relationship must end, Sofya is torn between a sense of duty to her husband and feelings of attraction towards her lover. It’s one of the most interesting stories in the collection, especially as it explores the emotional dynamics at play. Further, the dusky light and night-time settings often add to the mood. In A Bad Business, for instance, a night watchman on patrol in a graveyard encounters a wandering pilgrim. The wanderer claims to be lost, but this is an unsettling little story, and things are not quite as they appear at first sight. In other stories we encounter a variety of seemingly ordinary people going about lives: two policeman escorting a tramp to the District town; a Public Prosecutor searching for a way to dissuade his young son from smoking; two children delighted by the arrival of a litter of kittens…there are many more. All in all, In the Twilight is a fascinating collection of stories and an excellent introduction to Chekhov’s writing. Several of these stories finish at just the right point leaving the reader to imagine or guess what might happen next – that’s not a bad thing, to leave your audience wanting a little more. Karen at Kaggsy’s Booking Ramblings has also reviewed this collection. In the Twilight is published in the UK by Alma Classics. Source: review copy kindly provided by the publisher. This entry was posted in Book Reviews, Chekhov Anton and tagged #TranslationThurs, Anton Chekhov, Book Review, Fiction, Hugh Aplin, Literature in Translation, Russia, Short Stories on February 16, 2015 by JacquiWine.